Chevrolet used the 2018 SEMA Show in Las Vegas to showcase what the company called a concept front end design, but with reports claiming that this will actually be the production front end very soon, we wanted to give you a look at the two designs side-by-side. When General Motors first introduced the refreshed 2019 Chevrolet Camaro earlier this year with several different front ends, the SS models were sporting the look in the top pictures above. The bowtie logo is in the middle of the front fascia rather than in the upper grille and the middle of the front fasica is painted black, creating the illusion of a massive grille that covers the entire front end, from top to bottom. That 2019 Camaro SS front end was met with loads of negativity from consumers, leading to a great many unpleasant memes mocking the new look of the volume V8 models. 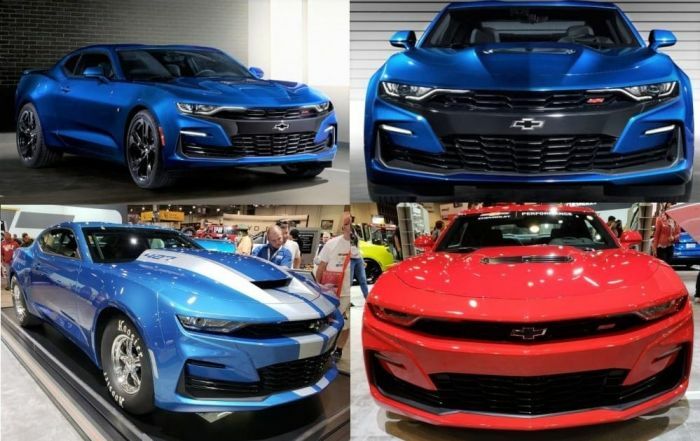 In fact, while the social media channels are often full of negativity, the distaste for the 2019 Camaro SS front end was rampant, both in groups of Chevy enthusiasts and groups of enthusiasts of other brands.